Wood ash is precisely what it sounds like, the ash that remains after wood is burned. This material can be gathered from a fireplace, in the wood burner collection tray etc. It can be quite a chore to remove all the wood ash from your fire, but wood ash can be used in many different ways in your home or garden. 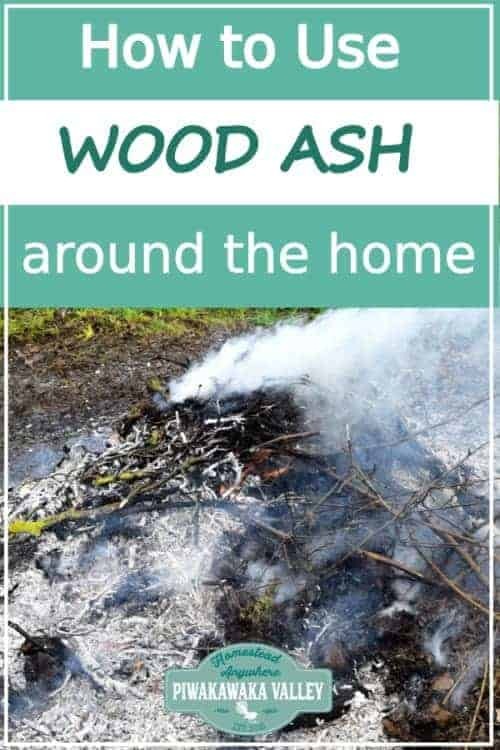 This ash is so useful that in the 18th century, farmers got “Pot ash fever” when they discovered all the benefits and just how valuable wood ash can be and started using it for everything. We will now take a closer look at some of the uses so you can make full use of any wood ash you may have. Wood ash is high in potassium and trace materials which makes it a fantastic addition to your compost. All you need to do is wait for the wood ash to completely cool and then pour it onto your compost. The wood ash will help to create more nutrient rich soil which is excellent for growing seedlings and various crops. If you have specific plants that are struggling to grow, you can sprinkle some wood ash on the soil around it and it will give the soil a boost in nutrients that will help your plants to grow better. Fruiting plants in particular benefit from the extra potassium. You can even use wood ash to treat the ground and soil just before winter so that it will help protect the soil from losing essential nutrients over the course of the winter. If you have plants that require a lot of calcium in order to grow such as grapes, tomatoes, spinach etc, then you should use wood ash when sowing them in order to have thriving crops and reduce the risk of blossom end rot. Next, wood ash can be used to make lye water which is an excellent cleaning agent that you can use around the home. Lye is the very caustic stuff that you mix with oils to make soap. It is much healthier to make your own cleaning agents as opposed to buying the chemical based cleaners in your local grocery or hardware stores. In order to make lye water, you will need to place a few tablespoons of wood ash into 1 cup of water and then boil. Once it has boiled, you can strain the water using a filter and you’ll have lye water. Commercial lye is made like this and then reduced right down until there is no water left, just a white crystal substance. Homemade lye water can then be used to clean cooking utensils, silverware, glass, windows and it can even remove rust. If you have a problem with bad odors in your home, then you can use wood ash to get rid of the offending odors. For example, if you have bad odors in your fridge, then you can simply place a bowl full of wood ash in the fridge and it will absorb the bad odors, in a similar way that a bowl of baking soda does. You can do the same for trash cans, pet spaces etc. You can use wood ash in order to deter pests in the home or animal sheds. Simply pour wood ash into containers or bowls and place them in areas where pests such as rats, cockroaches, spiders etc, enter your home. The wood ash will prevent them from entering your home and they will go back to where they came from. 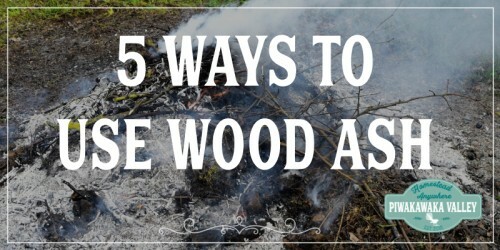 You can also use wood ash to remove ticks, fleas and even lice from your livestock or pets. 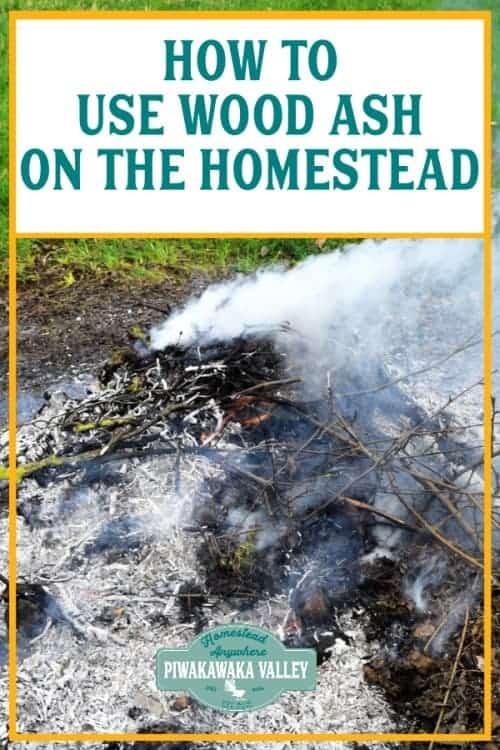 Wood ash is excellent for repelling these type of pests and you can even place it in your own hair if you plan on spending time in the woods to repel them. In order to treat livestock or pets, mix the wood ash with apple cider vinegar and apply to the fur of your animals. I use it in my ultimate chicken bath recipe too. If you have a problem with ants in or around your home, you can also use wood ash to get rid of them. Ants absolutely hate wood ash and you can pour it anywhere that you find any ant hills or colonies. Once you do, they will relocate themselves elsewhere. There are particular types of wood ash that you can use to make toothpaste that actually also whiten your teeth. Woodash can also help to get rid of plaque on your teeth since it contains potassium hydroxide. Softwood ash is the best type of wood ash to use when making toothpaste and you will need to combine one part of ash with one part of baking soda. You can add other ingredients such as turmeric, lemon peel, activated charcoal etc. Simply grind and blend the mixture and then use as a toothpowder with your toothbrush dipped in water, or combine it with some coconut oil for a more paste like consistency. 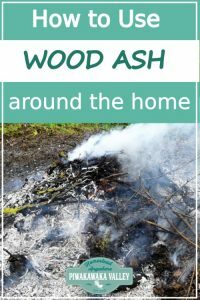 To wrap things up, we have just looked at a few ways that wood ash can be used in the home and garden. There are many more ways that you can use wood ash such as a fire extinguisher, slug infestation remover, plant frost prevention, egg preservation method and I am sure there are more! 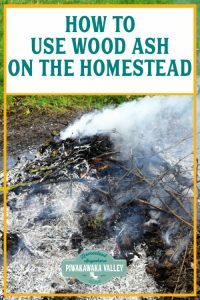 If you know of other ways to use wood ash in the garden or in your home, let me know in the comments below!